To live the dream — Salon FundRaiser . . . . . . . . . . STEP (1): SET UP YOUR PERSONAL SALON FUNDRAISER ACCOUNT . . . . . . . . . . STEP (2): CREATE A FUNDRAISING CAMPAIGN OR PAY $100 FOR US TO CREATE ONE FOR YOUR PROJECT . . . . . . . . . . STEP (3): SHARE YOUR CAMPAIGN ON SOCIAL MEDIA THEN ASK FRIENDS AND FAMILY TO GIVE AND HELP SUPPORT YOUR PROJECT . . . . . . . . . . STEP (4): WHEN YOU REACH YOUR GOAL YOU CAN COLLECT YOUR MONEY IN AS LITTLE AS 30 DAYS . . . . . . . . . . . STEP (5): USE THE FUNDS TO FINISH YOUR PROJECT!!! . . . . . . . . . . . . . . .
For the past 15 years Ive wanted to have a Salon on wheels. Im a traveling Barber/Stylist. I go to my clients or they come to my home. My idea and business plans are to have a shuttle bus type Salon that Will help me to cater to more clients and the Elderly that are not able to visit a Salon. 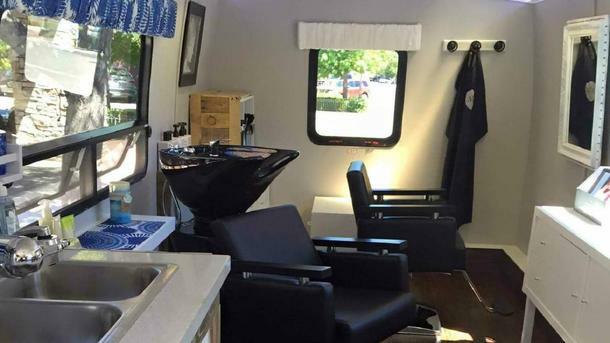 It Has been a gut retching drive in me to have a mobile Salon on wheels that can cater to the very busy families, the Elderly, The homeless, and the less fortunate.